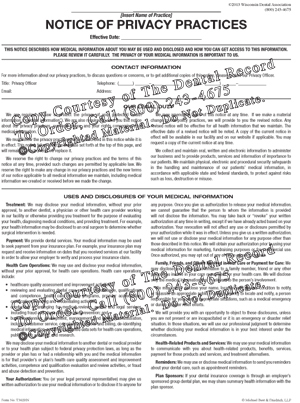 The Informed Refusal form documents your patient's refusal of recommended treatment. 100 forms per tablet. The Informed Refusal form is to be used when you have determined that the patient requires treatment but is unable or unwilling to accept treatment. 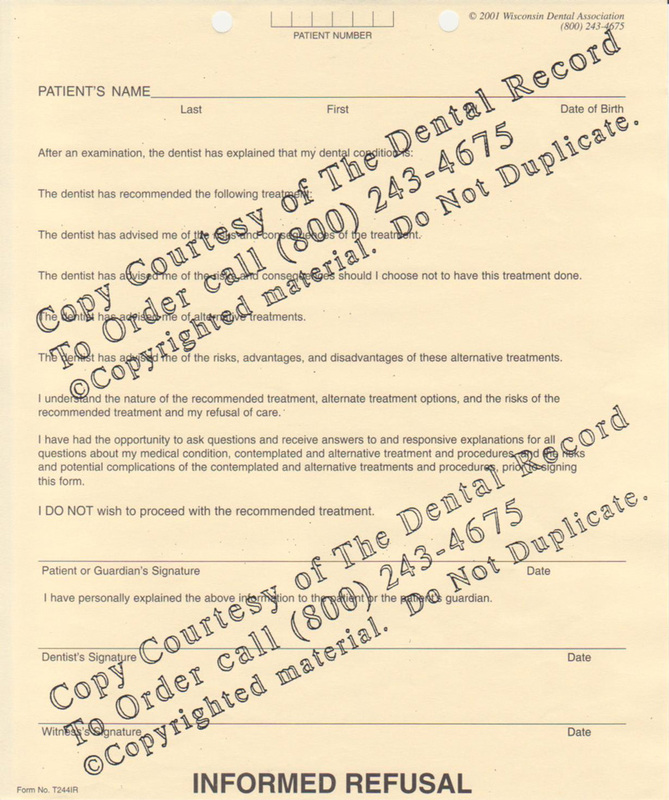 Use of this form prevents future legal issues where the patient denies that he was told about the required treatment.This form is a fill in the blank format. Complete the form by providing the appropriate information in the spaces provided.